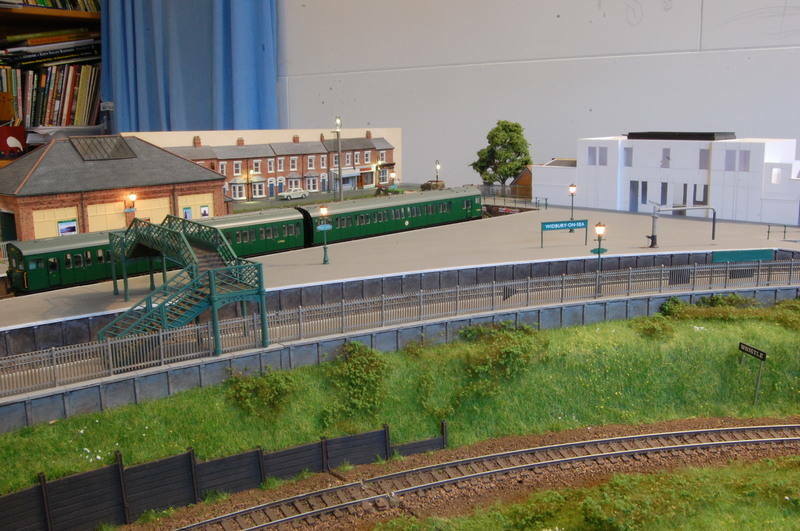 Please email me through the contact us page and I will pass your details on to him. 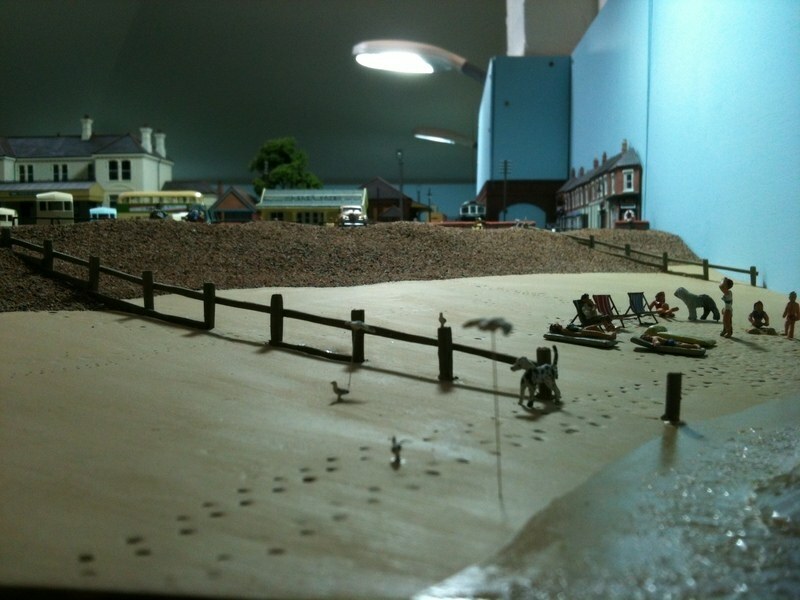 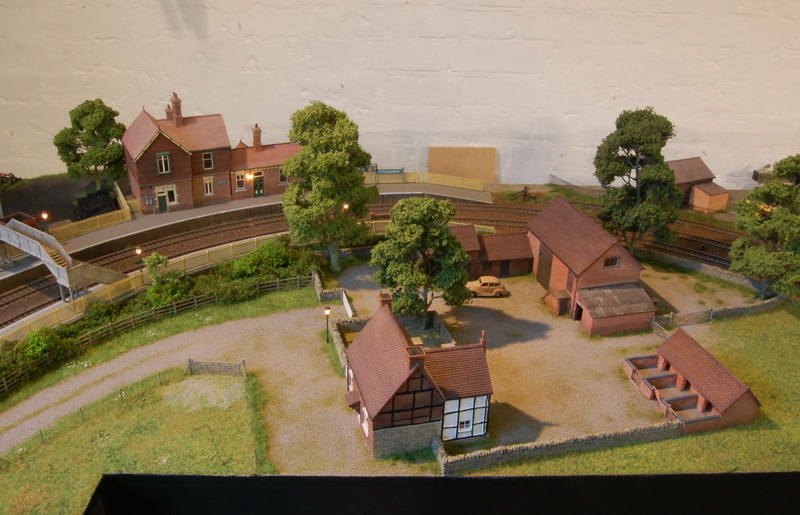 An OO-gauge DCC round-the-room layout, 11'6" x 6'6"
Baseboard - Birch ply (CNC cut) - standard Scenic Model Railways design. 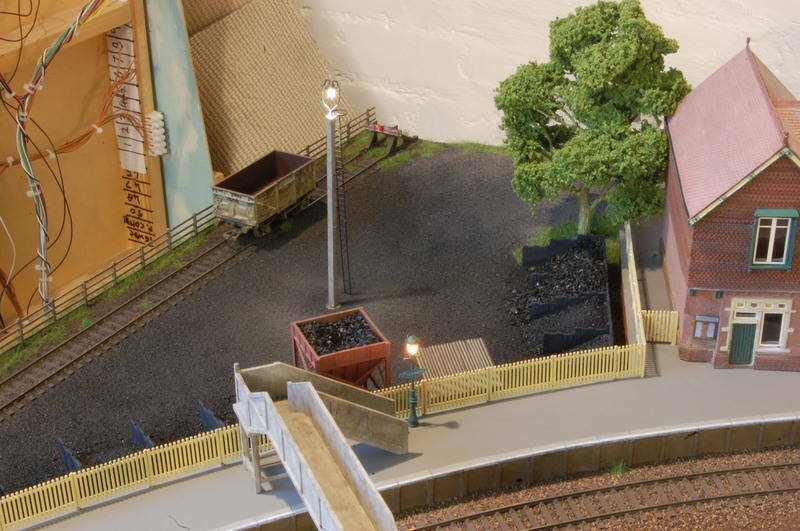 Trackwork - Peco code 75 eloctrofrog. 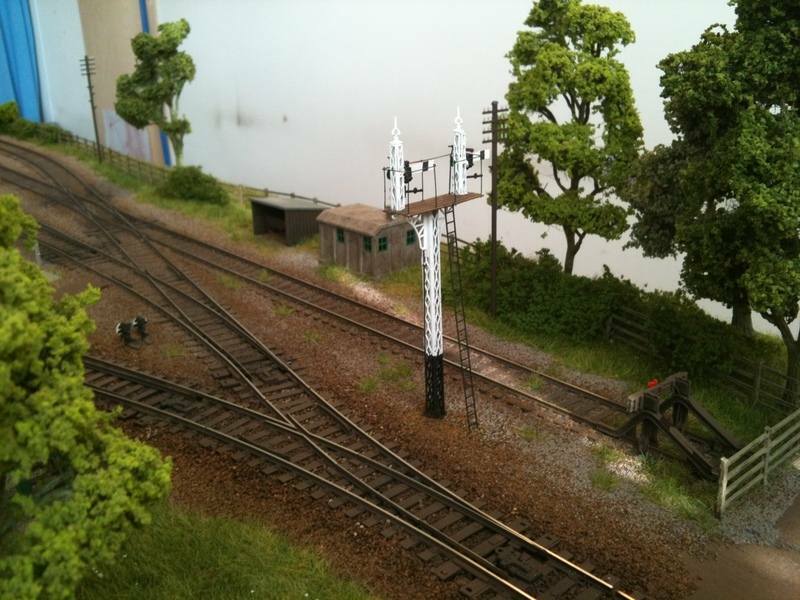 Signals - Hand made using Model Signal Engineering components. 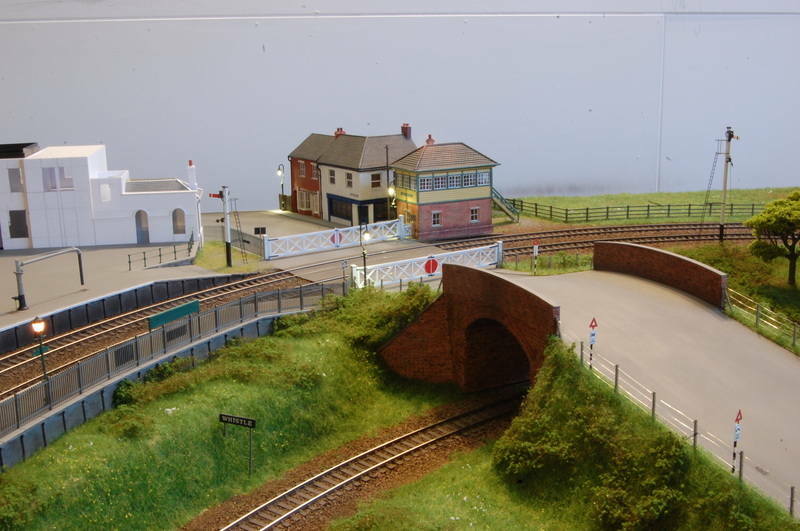 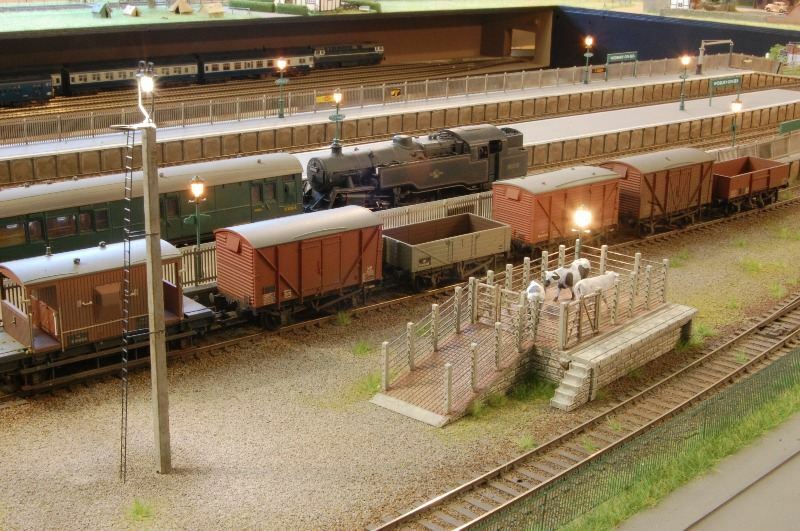 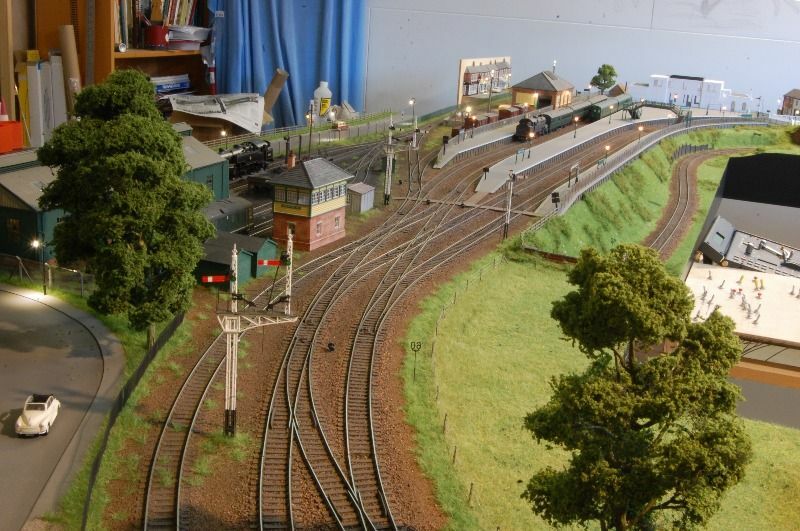 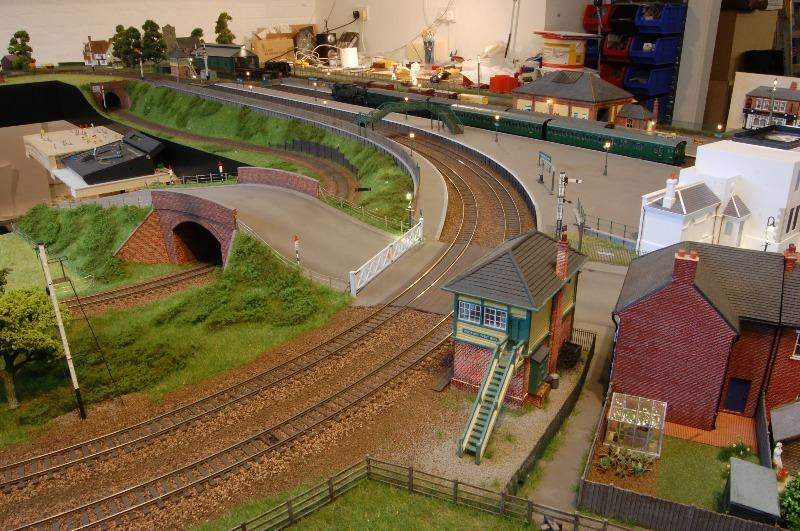 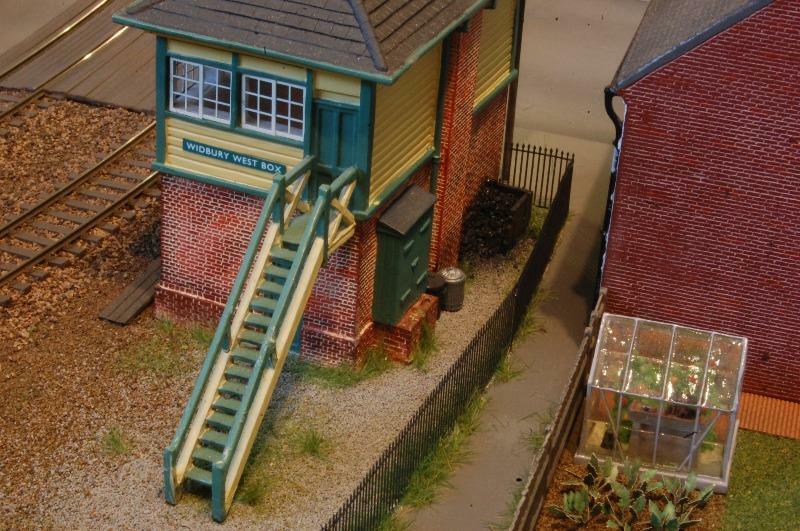 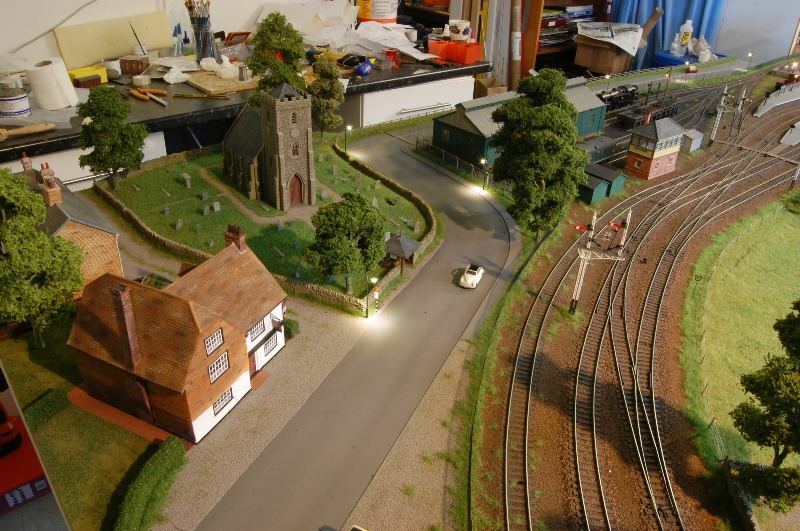 Signalling System - Fully automatic, operated by Tortoise motors and activators, electronics by Heathcote Electronics. 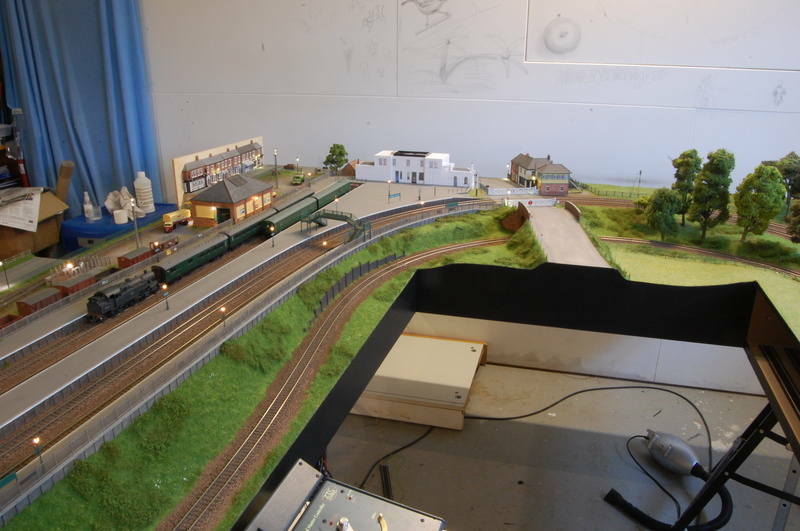 DCC System - Controller ZTC. 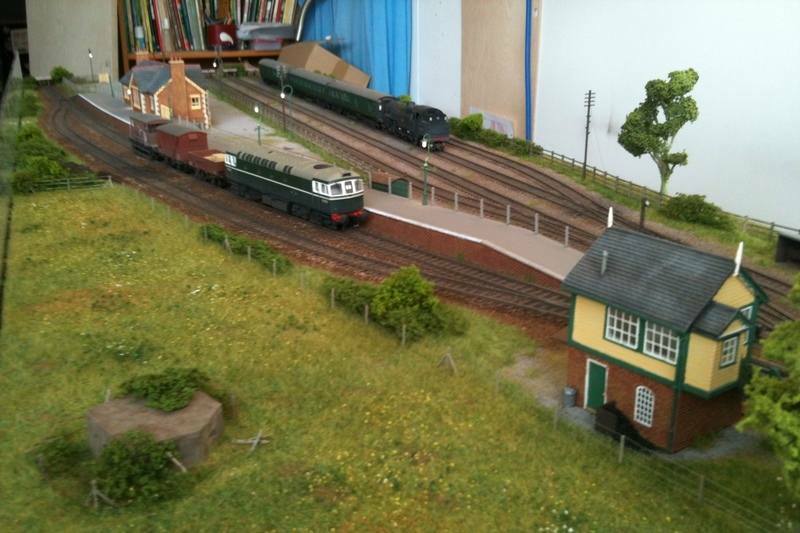 Clients Locos fitted with DCC Sound by Olivia's Trains. 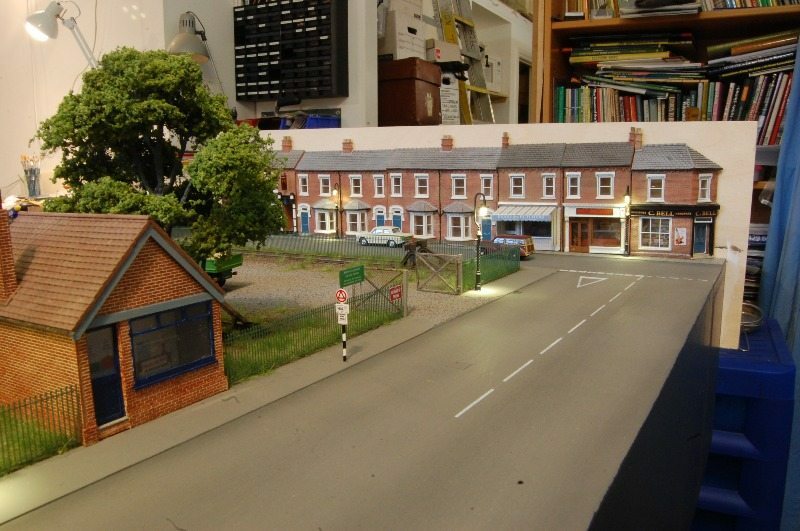 Automatic station stop system - Utilising Lenz decoders with ABC and Constant Braking Distance. 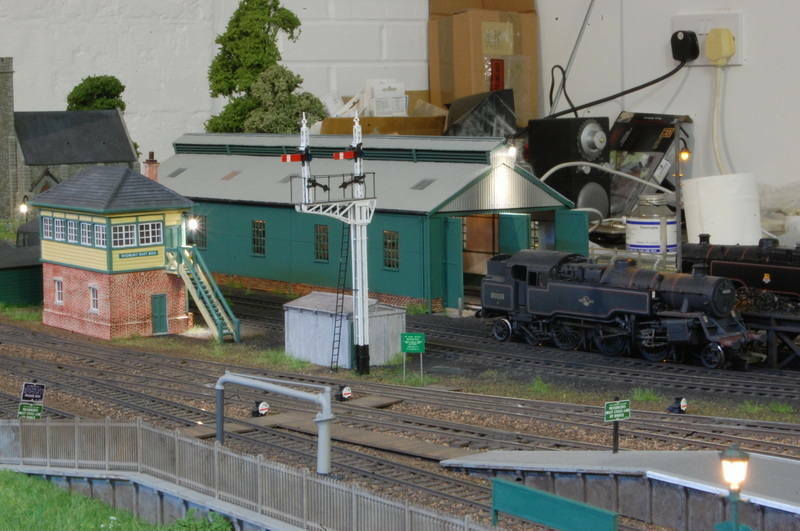 Sensors by Heathcote Electronics. 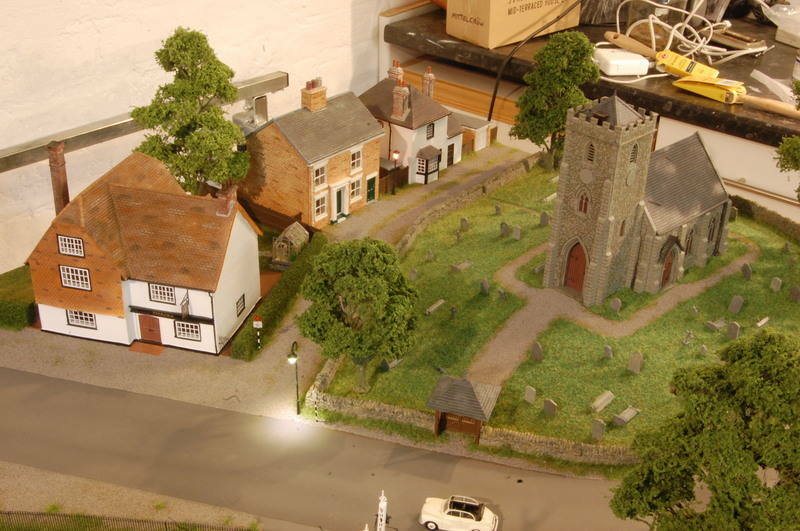 Control panel - Laminate, CNC drilled. 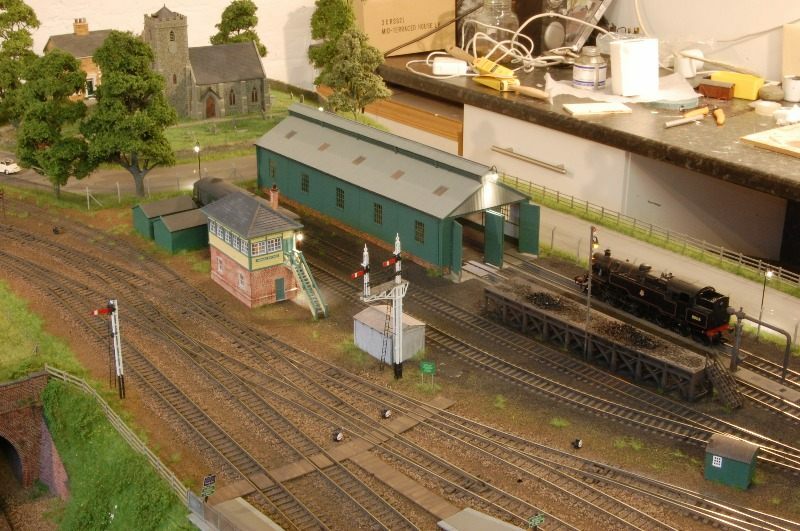 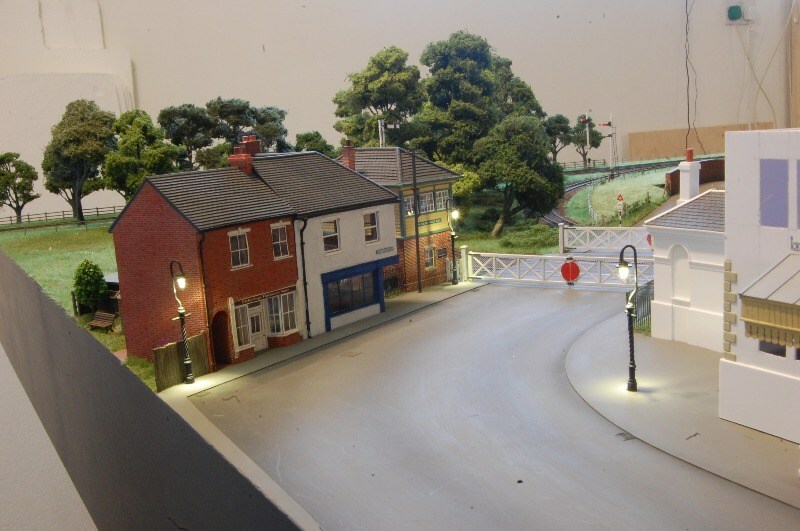 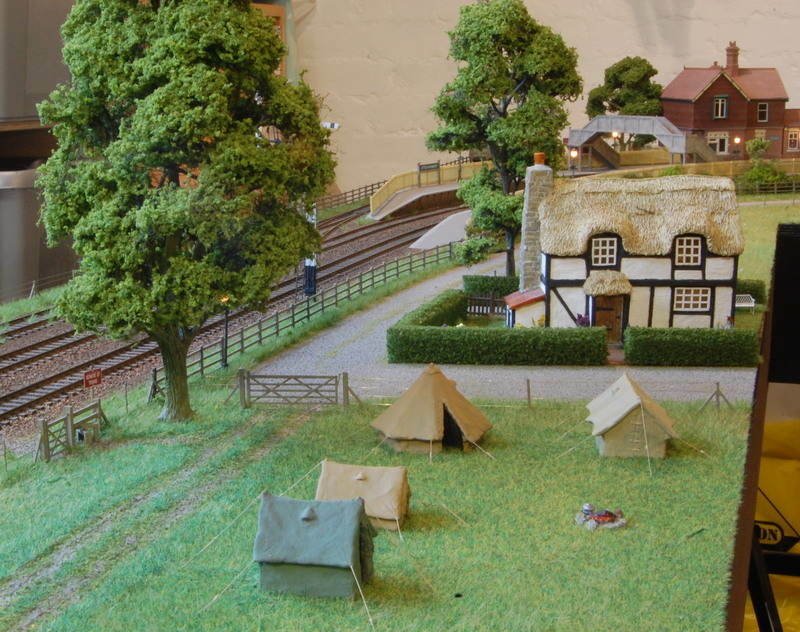 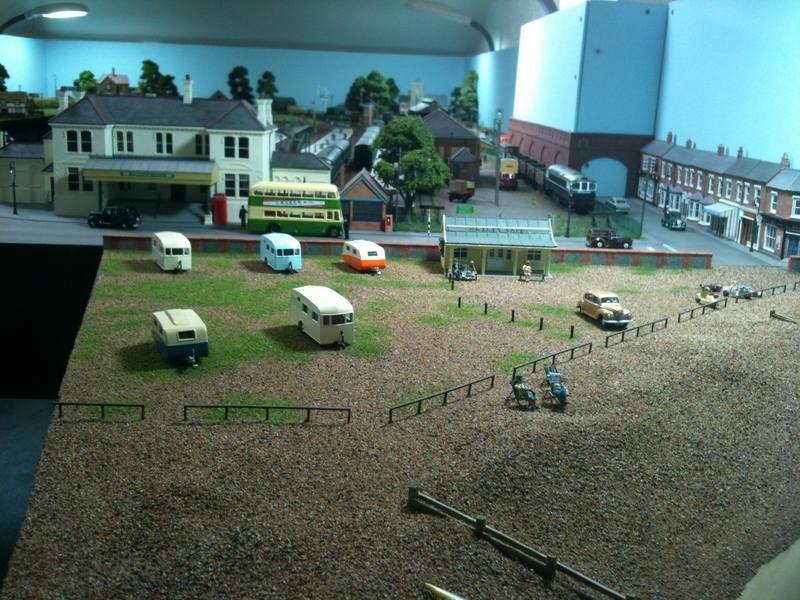 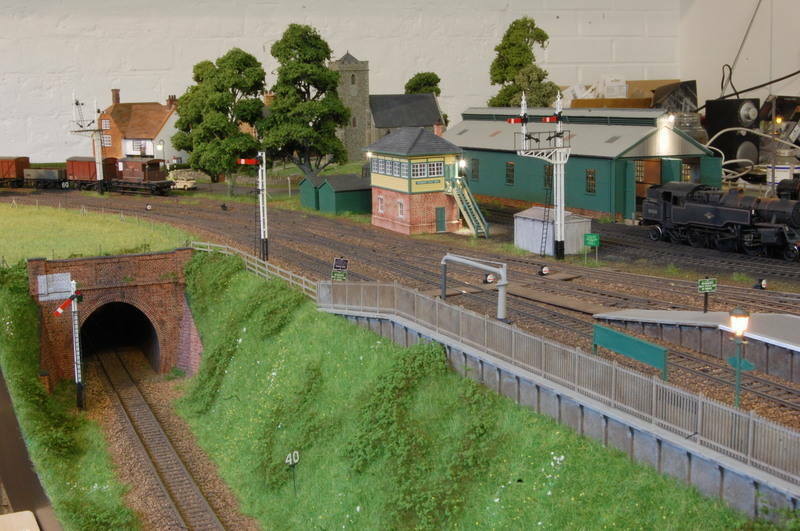 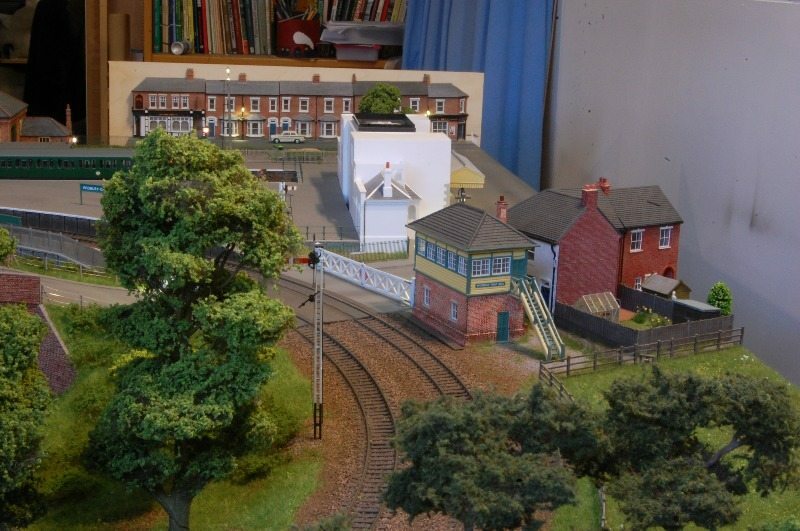 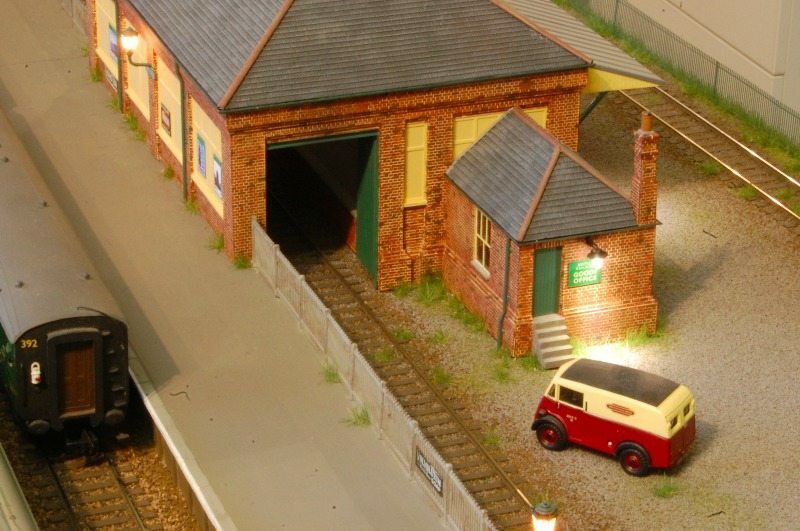 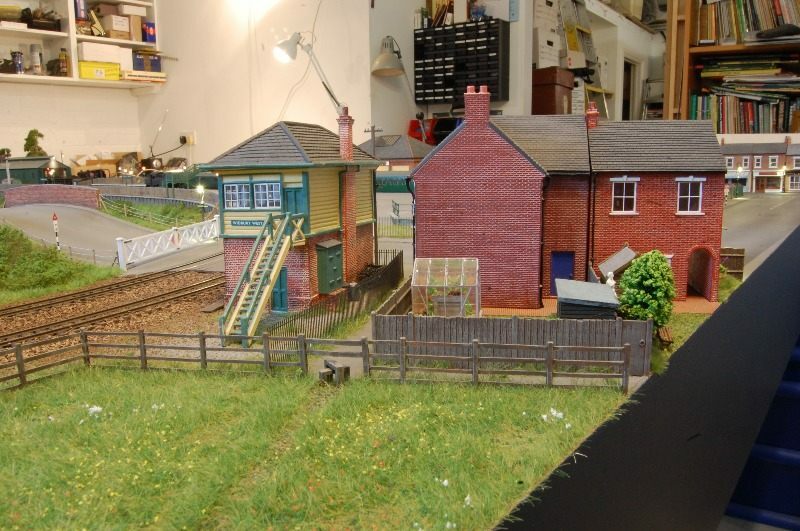 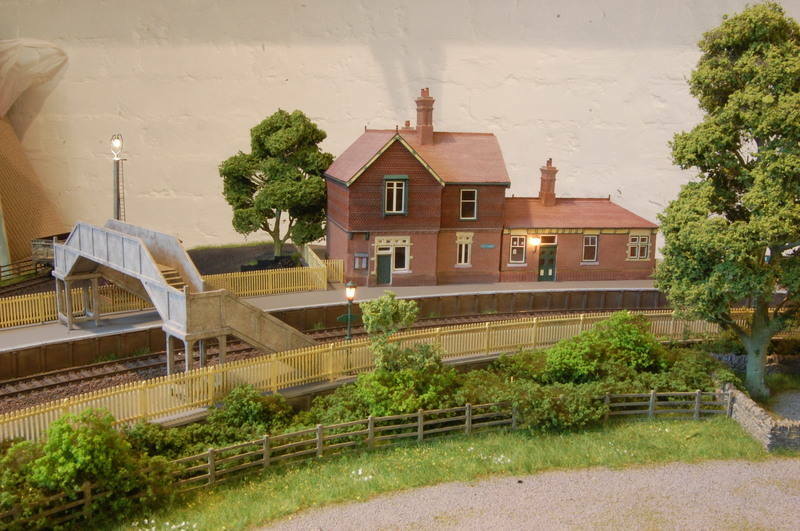 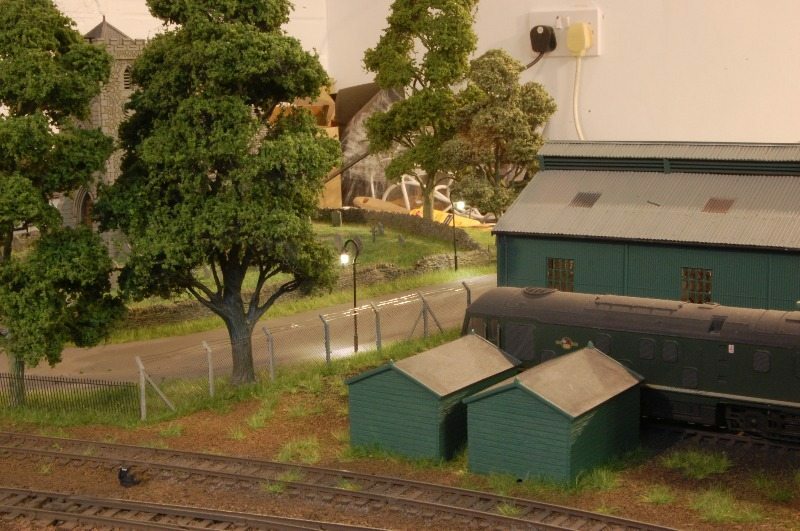 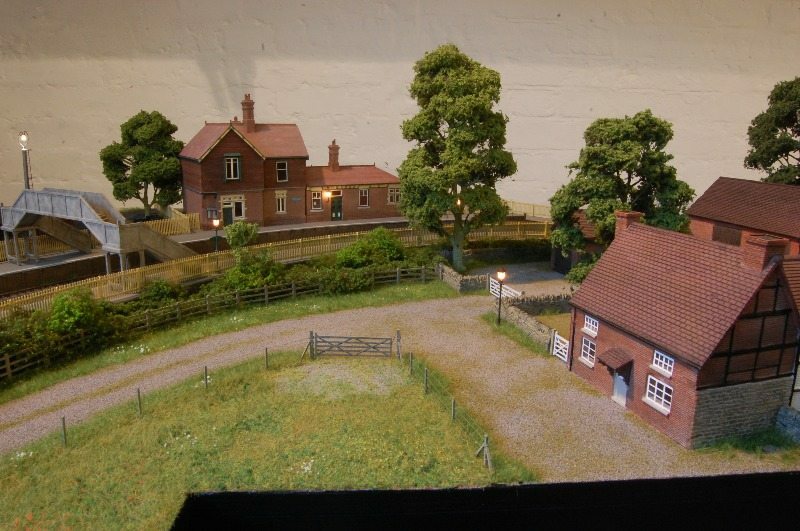 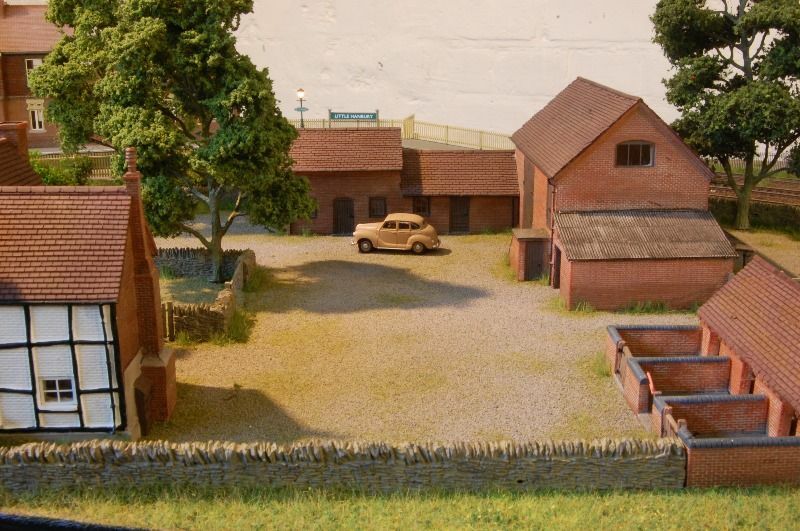 Buildings - Widbury station building, station cafe, goods shed, coaling stage and loco shed - scratch built (see our buildings). 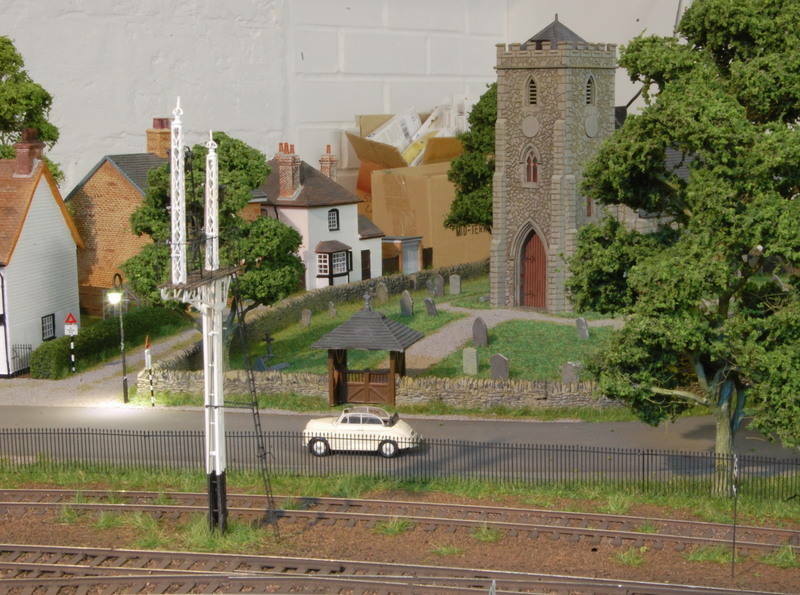 Church - kit built. 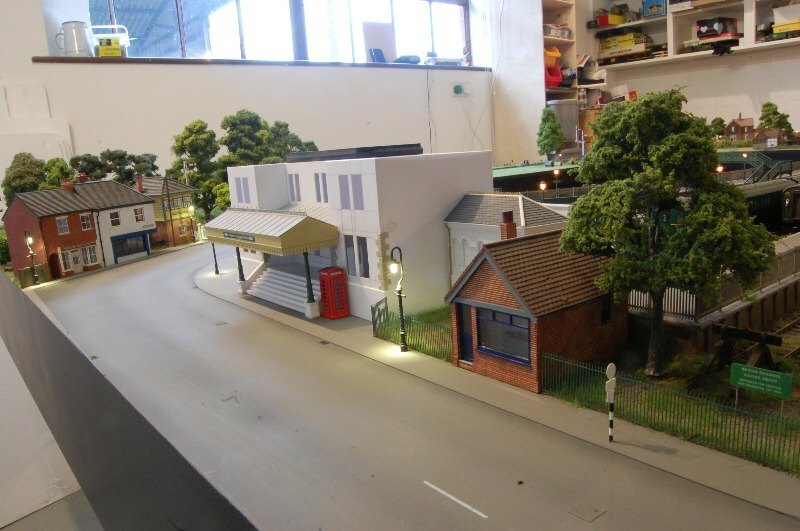 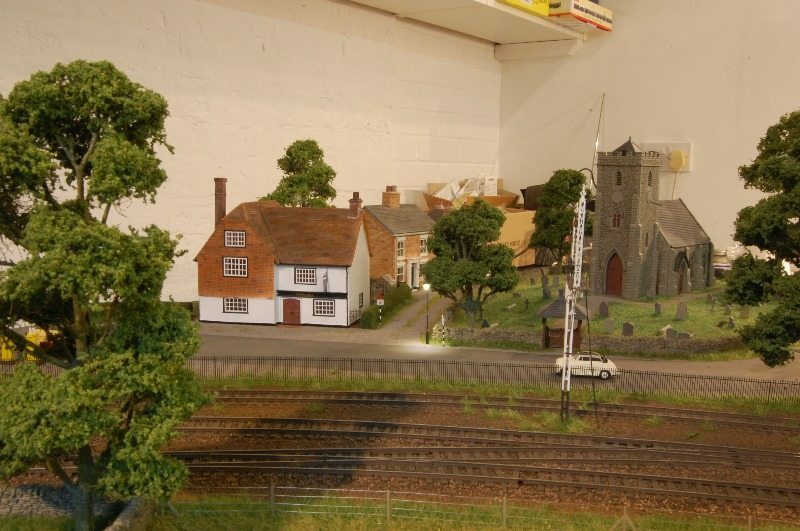 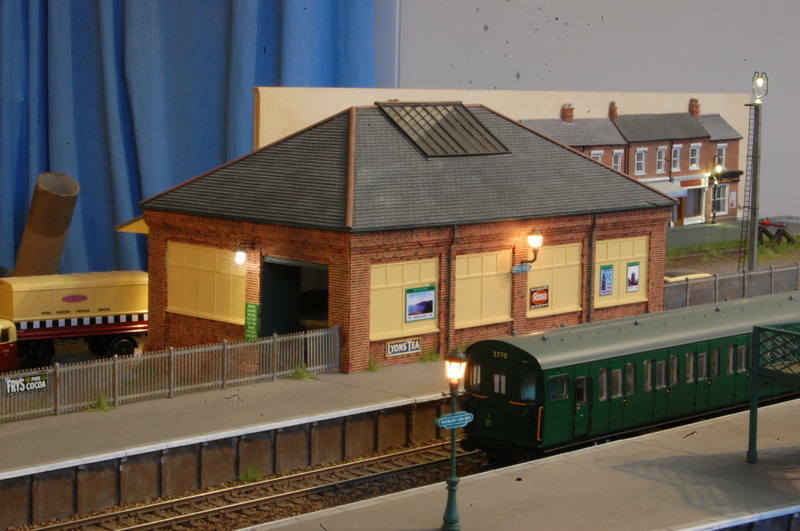 Other buildings - off the shelf by Bachmann Scenecraft and others. 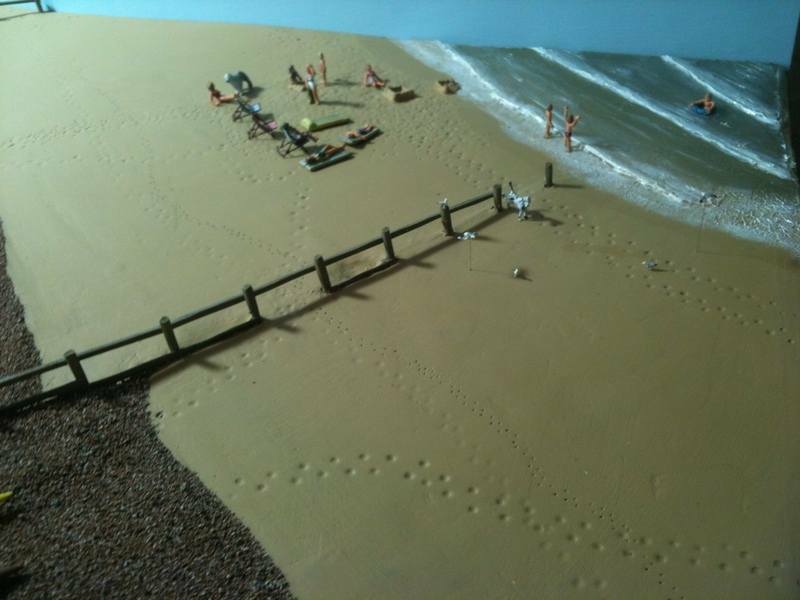 Beach Scene - Details and figures by Langley Models, groins scratch built, water created using Woodland Scenics materials. 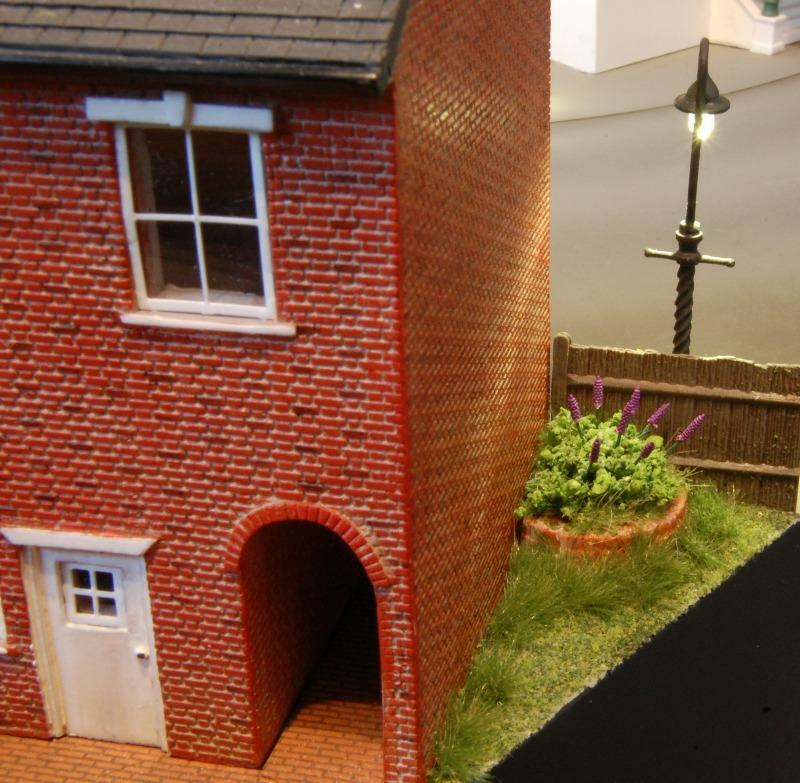 Lamps - RMLectronics and Viessmann. 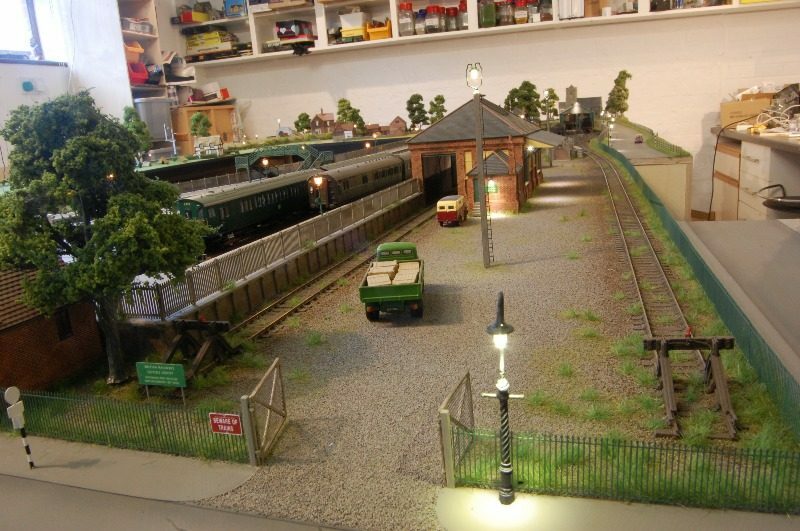 Loco yard lamps custom made by RMLectronics. 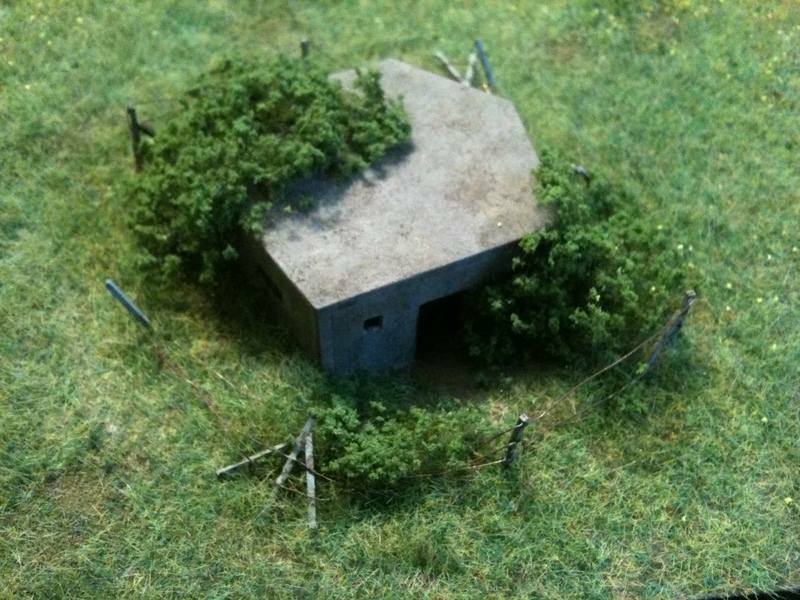 Trees - Realistic Modelling Services. 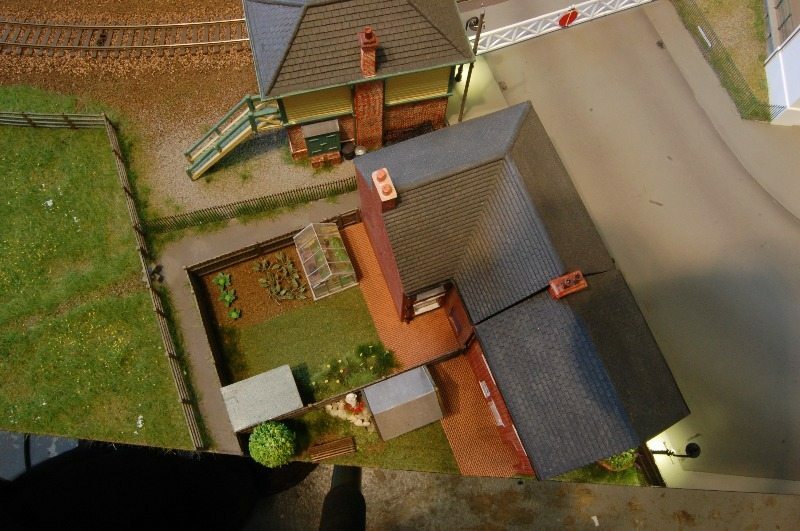 Branchline descending to under-board storage sidings (in blue). 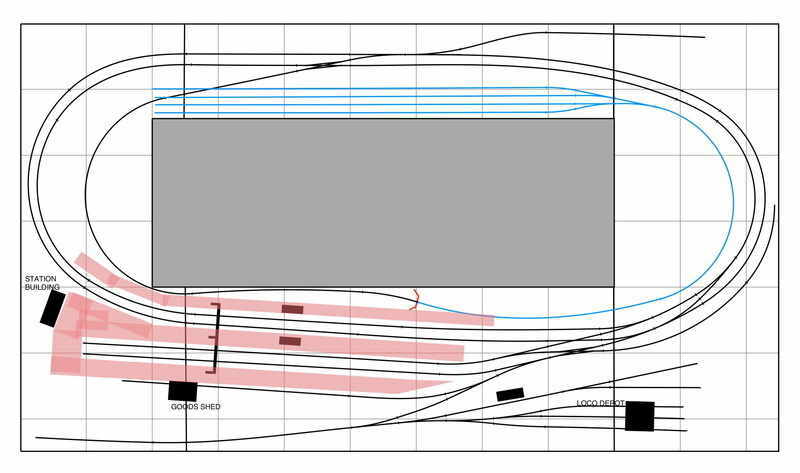 Compiled using Empire Express track planning software.